If you’ve been reading our blog for a while, or have met us in person, the words Restorative Exercise (TM) come up. It sounds cool, but unless you are one of the few alignment dedicated folks who follow us, you are still wondering what it is. This interview is a great way to find out more about what I do to help people get optimal physical health. 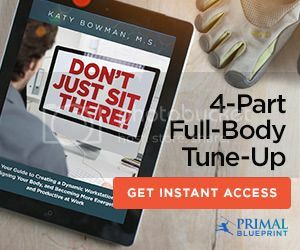 I share why whole body movement is important, how to make time for it and how exercise may not be enough for health and longevity! This phone interview was awesome! Kathy Strahan, my host from LeanBodyWorks and A True Health is one of the most knowledgeable and passionate people that I have met in the fitness industry. It’s always a pleasure and honor to be interviewed by someone excited by your work, right? Kathy came to me as a client a few months ago and we found so much in common – our adoption of ancestral diets, love for fermented foods, a drive to achieve better movement quality, a desire to educate people about their full life potential! Kathy is a true no limits person, and she is living that every day! She’s been blind since the age of 2, and 50 years later, she is fit, energetic, cooks delicious healthy food, and spends her days educating others about movement and nutrition. Talk about leading by example! Meet her in this video where she is riding a bike, like it’s nobody’s business! I am continually floored by this woman! You can reach Kathy at her website: leanbodyworks.com and her expert connection site atruehealth.com. 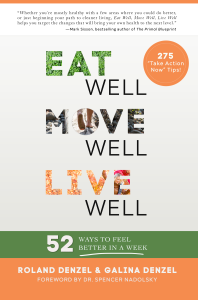 We hope to have Kathy on the Eat Well Move Well podcast very soon! Do diet sodas cause type 2 diabetes?